Visitors from all over the world are streaming into Mariposa to spend a few days in Yosemite National Park. Even though it has been a dry year the Park is still green and beautiful. 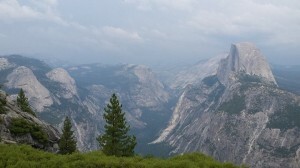 We took a hike up to Sentinel Dome this week and then on to Glacier Point for our traditional after hike ice cream. It just doesn’t get better than this. Truly, it really doesn’t. Left Mariposa around 11 and drove up to the park, the line was only 3 cars deep at the entrance. We drove through the Bridalveil parking lot to see how much water was coming over the falls and it was low, but the mist it was creating was beautiful none the less. Next up the 41 to the tunnel view! This is tradition as well as honking all the way through the tunnel on Hwy 41! My sister, a native Mariposian, was here visiting and needed her “Yosemite” fix before heading back to Colorado. 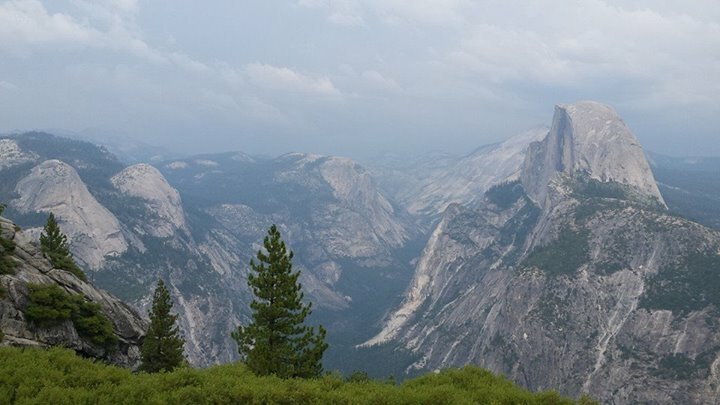 The drive to Sentinel Dome is not long and the hike up to the TOP of the dome is only 1.1 miles. Not much effort is needed to experience the most amazing 360 degree views of Yosemite. We are looking forward to Fall and the colors and rains it will bring. Rooms are still available at the Inn in November and December. Come! Be our guest! Excellent accommodation. A VERY big clean room with spa and fridge. A lovely big king bed and great overall warm feel to the quaint hotel room. Lovely town and with great restaurants available. Free wifi and parking.